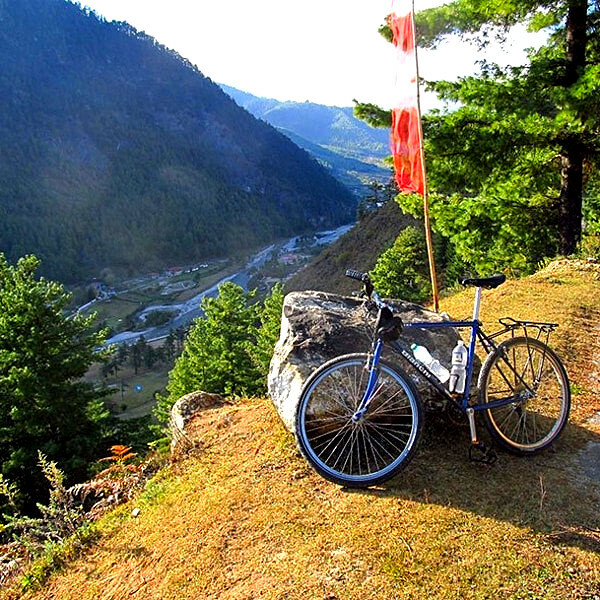 These 4 days cycling tour will take you across two western districts of Bhutan, Paro and Thimphu (capital). Both of these districts are well known for multitudes of cultural heritage sites, which attract tens of thousands of tourists annually. Welcome to the Last Shangrila. Tour guide and driver from See Bhutan Travels will meet you at Paro international airport and drive you to one of the local restaurants for lunch. Pickup truck along with bicycles will meet you here at restaurant from where your 65 km ride to Thimphu (capital) begins. 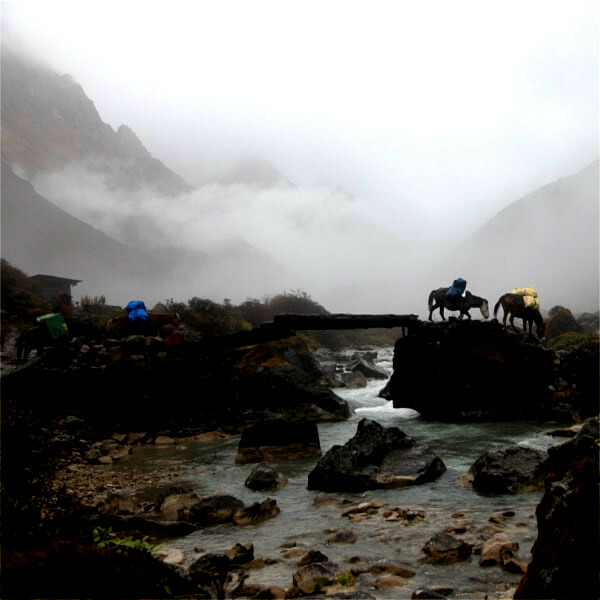 On the way before reaching Chuzom Bridge, stop shortly to view Tachok Lhakhang (monastery) located at the bank of Paa Chhu River, built in late 1300s by great Tibetan saint Drupthob Thangthong Gyalpo. From here continue riding towards Thimphu. Today we will be riding around Thimphu valley and visiting places such as Dechencholing, Takin zoo and Sangaygang. If time permits we will pay visit to Kuenselphodrang to witness the world’s largest Buddha statue. Your short and memorial cycling journey will end here at Thimphu. Towards evening we will drive back to Paro. Drugyal Dzong: Located in Phongdey village in Paro, the Dzong was built as one of the principal Dra Dzong (defence dzongs). While some attribute the building of the Dzong to Zhabdrung Ngawang Namgyal in 1649 to commemorate a victory over Tibetan invasion, some attribute it to the second Druk Desi Tenzin Drukdra. 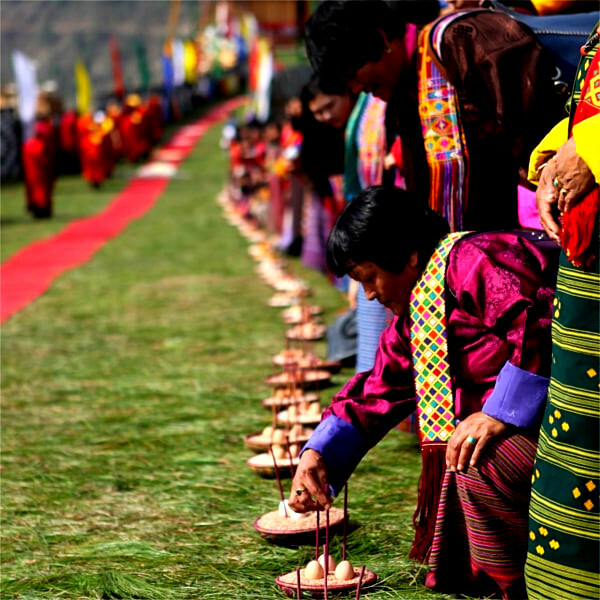 But as its name suggests (Druk – Drukpa; gyal – victory), the Dzong was built to celebrate the victory over Tibetans. The Dzong was used as the summer residence of Rinpung Rabdey until 1951 when it was completely burnt down. The Dzong is currently being rebuilt to its former glory to celebrate the birth of crown prince Jigme Namgyel. .